Doug's Air Conditioning and Heating now offers energy efficiency and is able to cut bills and produce great savings year round. We understand how invaluable your family comfort is, so we go the extra mile to offer cutting edge, specialized services above and beyond customer expectations. Doug's Air Conditioning services any brand of Air Conditioning and Heating System. Our service guys are both factory trained and in-house trained. This means that our well-trained staff can normally repair the problem that may be affecting your comfort system. As Doug's Air Conditioning service men drive service vans rather than trucks, we are able to keep on-hand a large selection of parts to repair problems in one trip, saving you money and time. Doug's Air Conditioning does not charge overtime to service your air conditioner after hours or on the weekend. After hours, the phone line goes to my house and not an answering service. If we are home, we answer it. If we are not home it goes to our answering machine and we will return your call when we get home (if it isn't too late). If you need service for your air conditioner system, please call (409) 787-3001 anytime. Some of you may recognize this old phone number as Anderson Horn Air Conditioning. We acquired this number several years back and continue to serve their former clients. Doug's Air also serves the Center, Texas area which you can call at 936-598-4486. The greatest advantage of purchasing a RUUD is that RUUD dealers are screened very rigorously. When I approached RUUD about becoming a dealer, they audited my books, looked at my training and then required me to attend their factory training before they would consider offering me the opportunity to become an independent RUUD dealer. 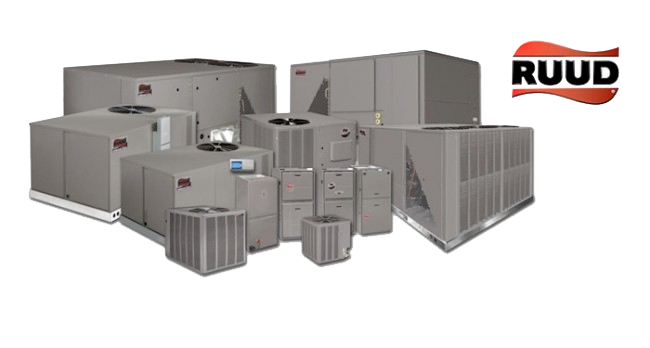 Unlike most other brands air conditioning equipment who will allow anyone contractor to purchase their equipment regardless of their training or business practices. Additionally, RUUD requires continued training and education classes both on-site and at the Factory which insures that your not only getting the best equipment money can buy, but also the highest trained staff available to install it.